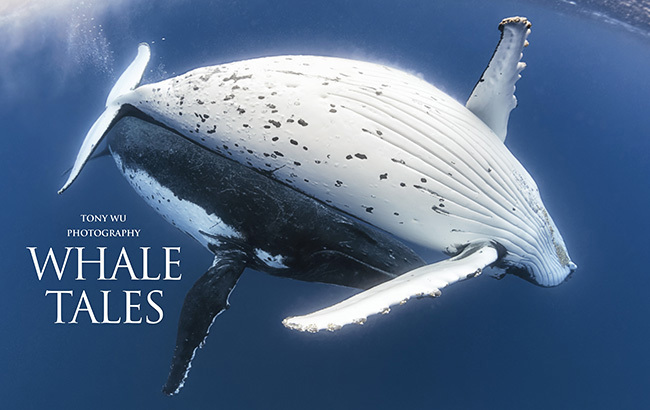 The spring/ summer 2018 issue of Nature's Best Photography magazine features a portfolio of some of my cetacean images. Here is a synopsis of the issue's contents: The Spring/Summer edition showcases the Winners from annual Best Backyards Photo Contest. This special issue also features Portfolios and Interviews from the 2017 Windland Smith Rice Awards by the Grand Prize winner: Lakshitha Karunarathna and the Youth Photographer of the Year: Ashleigh Scully, Landscapes category Winner: Sergio Tapiro Velasco, and the Outdoor Adventure winner: Marcio Cabral. Tony Wu brings us into the deep with his photos of whales. Learn about the #naturesbesttakeover on NBP Instagram by Amy Shutt and Brittany Crossman. And read Part 3 of the Mindful Lens by Charles Freligh. All photographs and text on this site are © Tony Wu, all rights reserved, unless otherwise noted. Please respect the time, effort, risk and cost I have invested in these images. My photos are not "fair game" as a representative of the Aggressor Fleet suggested.